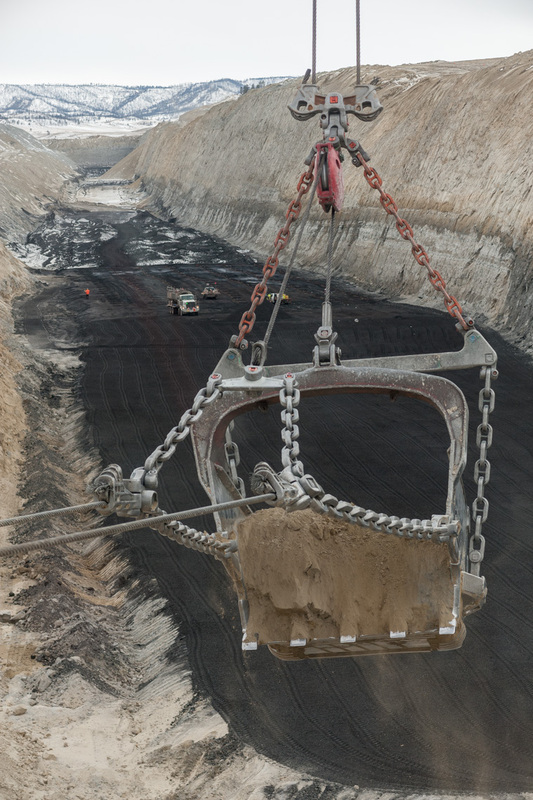 Ninety tons at a time, Baron Stroop operates one of the drag lines at Colstrip's Rosebud Mine to remove overburden dirt to uncover a coal seam. Coal is the central economic force behind Colstrip and its history. Thriving in the 1920s when it supplied the coal used in Northern Pacific locomotives, the town virtually died when trains began running on diesel. In the 1970s, construction began on the power plant and once again, Colstrip bustles with life.